My name is Kevin Mayne. For 14 years I was Chief Executive of CTC, the UK’s national cyclists’ organisation. In 2012 I left CTC to join the European Cyclists’ Federation (ECF) as Director of Development based in their Brussels office. Cycling has been an ever-present theme throughout my life as commuter, racer, tourist, mountain biker – call it what you will. In 1998 the CTC Council allowed me a unique opportunity to combine this life with my professional passion which is organisations and and the people that make them tick. Since I came into my international role I have had the chance to bring these twin threads together even more. One of my major projects is to try and support vibrant and sustainable cyclists’ organisations in every country. And as I travel I hope to get a bit of an insight into cycling culture, places and people. That is a special opportunity that I try to share, along with the pleasure of so many new places. I have even generated a few comments about life in Belgium, without I hope being too rude to my hosts. And I suppose the blog reflects the feedback I have had over the years from within cycling. Whenever I cycle with people we bond and we build relationships – the camaderie of the wheel. So if you are cycling in your city and you see someone like this taking your photo from the roadside, give them a wave. You could be in a blog. This is a personal project. I’m doing it in my own time to share some of the enjoyment I get from cycling, or indeed from anything else that pops into my head. So I am totally allowed to go off message and into areas I like. I won’t be blogging officially about policy stuff, or campaigning, or anything that crosses over into the day job with ECF. 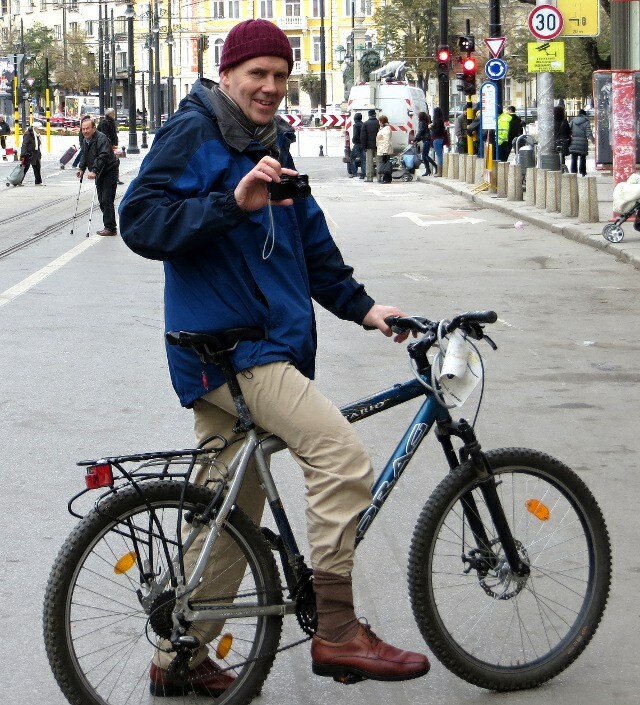 Ok, I’ve got a unique opportunity because my day job is cycling, but if you want to engage me on ECF or policy issues please don’t do it through the blog, contact me in Brussels. I’m also not aiming to earn any money, strictly for fun. (Exception for the odd personal sale). However if you use my photographs without my permission, in writing, in advance I reserve the right to charge a commercial rate. Ask me nicely for your use to promote cycling and I will usually say yes! There is a contact form on my sales page. From November 2012 I live in the commune of Lasne, Brabant-Wallon, Belgium. I moved there from Berkshire England where I lived for the past ten years. I grew up largely in Bungay, Suffolk, England which I regard as my home town and its where I still have family. I will admit to having at least 11 or 12 bicycles (at the moment) including two city/hybrids for daily use, two MTBs, two road bikes, two touring bikes, two fixies and a Chinese Flying Pigeon. Best of luck in the ECF. Really enjoyed reading your blog! Thought I’d drop you a line about our current project ‘The Adventures of Don Quixote by Bicycle’ It’s a theatre show where the performers and audience ride together. Promo film here; https://vimeo.com/42642213 . Further details here; http://www.burnthecurtain.co.uk . We’re currently looking for venues for next year- be great to hear any ideas you might have? Thanks for following Joe – I have been to your site and I love the concept. I’m sure you would go down a storm at some of the bike festivals that are put on by the more cycling friendly towns. The idea of a sort of mummers group wandering their festival performing sounds too good to miss. I remember the bicycle ballet in Brighton or the cycling film festivals in Leicester in recent years. I would love to have seen you one day at the York Cycle Show! I’ve been reading your blog a lot, and I love it. I have a question that I’m not sure you can help me with but I see that you travel with your bicycle on what looks like a regular basis. I am moving from the states to the UK, what kind of bag/container do you recomend for bringing my bike over? This is my bike: http://www.linusbike.com/models/dutchi-3/ Leaving it home is not an option. Thanks for any advice you can give me on this. If you are moving long term just go to a local bike shop and ask them for an old box that they had for a delivery. You usually need to turn the handlebars and remove the pedals to fit such a box, but the shop might help. These boxes are taken by most airlines. Within Europe I either use a folder on trains or I hire bikes at the destination, I got really fed up with the hassle of trying to look after my nice bikes in transit. Thanks! I didn’ t even think about asking my local shop for a box. I appreciate your help with this. All I need for the book is either an email address or postal address. Perhaps some of your new colleagues might also fancy reading it; the ECF gets a few mentions as, of course, does the Eurovelo 5. I have been keeping an eye on your stuff through the blogosphere too, if you can convince Chris Peck then you have cracked the toughest of audiences! I don’t solicit stuff, but I am sure that we at ECF should have your book around the office after the publicity you have given Euro-velo and I’d love to add it to my somewhat incomplete book reviews on this blog, so if you want to send us one send it to the Brussels office. I love the quote by HG Wells that you have on your header. Says it all really, doesn’t it? Thanks for stopping by and leading me back here. Best wishes in your new endeavours. You sound like the right guy for the job! Thanks for stopping by my little bike blog. Best wishes in the new year! You are welcome. Always delighted to see someone getting such obvious pleasure from the world of cycling. new here by coincidence, I was trying to find more news on Niki Terpstra who won Paris-Roubaix yesterday, and landed on you website Kevin. Really enjoying reading all the stories. I wonder though why I didn’t find anything on Madonna del Ghisallo, on the other hand it might come in the future. It’s on my list of “must visit” cycling places and I have no doubt I will get there. 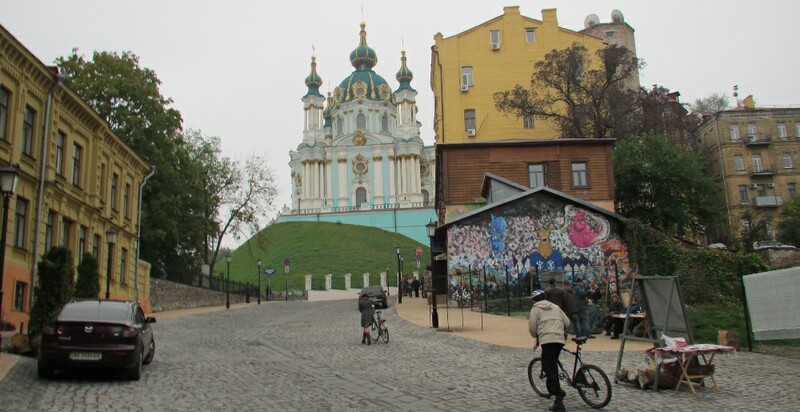 So many places to visit, people to ride with…. I read your post about the “sea of bicycles” in Utrecht with great interest. I am an expat living in Utrecht and, like you, I am amazed at the ubiquitous presence of the bicycle in the city and in the life of the Dutch people. I have posted some pics of the recently opened fiestsenstalling (parking lot for bicycles) of Utrecht Central Station – it’s the huge one you heard about and mentioned in the post, too. Indeed it is something amazing: it can shed 4200 bikes and it is super technological. Cheers and thank you for spreading the bicycle culture. You might consider contacting Jack Becker via his organization’s latest blog which he helped launch. http://www.cyclotouringbc.com/wordpress/ It’s an arm of British Columbia Cycling Coalition. Jack is very involved in spearheading promoting cycling tourism and strategy in the province right now. Working on a conference right now. He spent 6 months solo cycling and camping in both North and South islands in kiwiland as an early retirement gift to himself. Interesting and well-written blog Kevin. I was wondering what your opinion is of cycling around Lasne, compared to around Bungay, and if you might be interested in sharing some of your favourite routes as a guest blogger on http://discoveringbelgium.com/ ? I have written some cycling posts myself, but would welcome the insights of a “cycling pro”! Thanks for letting me know. I would be delighted to try and help Denzil. I will contact you via your blog. I’m currently doing some research on the road and roadside design factors that impact road safety in urban Melbourne. May I please use your photo of the part-time cycle lanes in Melbourne in my PhD thesis? The Brussels attacks is so terrible.